SmugShot Metadata Mess | Analyze the Data not the Drivel. This entry was posted in EXIF/Metadata, J, Photography, Programming, Reviews, SmugMug, Software and tagged Apps, Exif, exiftool, iPhone, J, jsoftware, Programming, SmugMug, SmugShot, Source Code by John Baker. Bookmark the permalink. Pingback: More on that SmugShot Metadata Mess « Analyze the Data not the Drivel. Pingback: The Instagram Metadata Massacre « Analyze the Data not the Drivel. 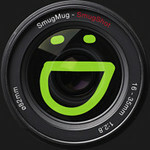 A recent update of SmugShot (Jan 2012) claims to have fixed the missing EXIF problem. I have yet to check this as I no longer upload images with this application. You still cannot rename the uploaded files and my SmugMug keyword handling requires meaningful files names.